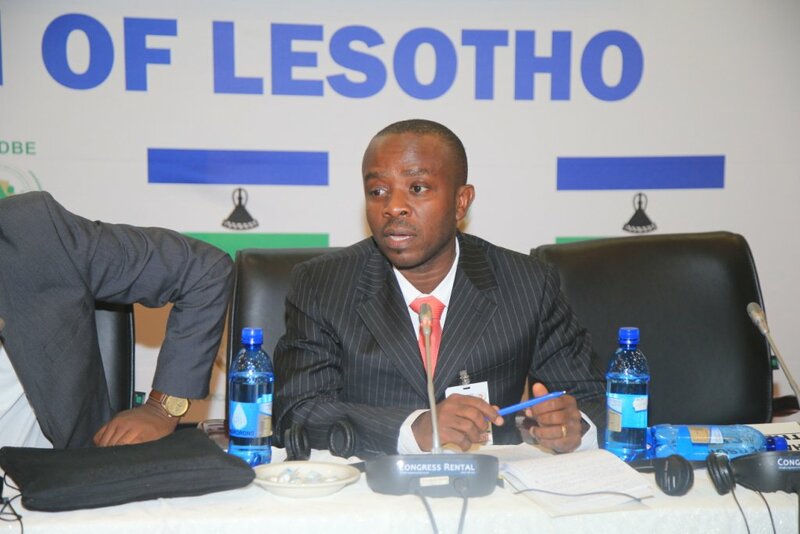 At its 29th ordinary session, held from 2-9 May 2017 in Maseru, Lesotho, the African Committee of Experts on the Rights and Welfare of the Child (ACERWC) officially granted Observer Status to Defence for Children International (DCI). “This is an historic day for Defence for Children International. We appreciate the recognition and space given to us by the Committee for more engagement with them to address child rights issues in Africa. Through our regional desk and national sections, DCI will continue to make meaningful contribution towards the work of the Committee and member states of the African Charter on the Rights and Welfare of the Child (ACRWC)”, said Abdul Manaff Kemokai, DCI President and former Vice-President for DCI in Africa from 2008 to 2017. Defence for Children International therefore becomes the 20th organisation working on the promotion and protection of the rights and welfare of the child in Africa to obtain the Observer Status. The decision comes as a reward for the strong working relationship that DCI has developed with the Committee over the past decade. In recent years, DCI has been actively involved in the country reporting process of the Committee and has become a crucial actor of the ACERWC’s civil society organisation (CSO) forum. The CSO forum is a key partner of the Committee that provides its experts with first-hand, reliable information and shares key recommendations to guide decisions taken by the Committee. DCI has therefore positioned itself as a key partner of the Committee and shares its expertise on a regular, particularly on specific thematic issues that include child-friendly justice, children on the move, child trafficking, violence against children, girls’ rights and gender equality, or responses to the most recent Ebola crisis. In various African countries, DCI has contributed to the development of new policies and legislations to further protect and advance the rights of children. In this regard, DCI plays a significant role in ensuring that State parties to the ACRWC do not only domesticate Charter but also provide periodic reports to the Committee on its implementation. With 13 National Sections active across Africa, DCI has become a major actor in shaping policy and practice change. In 2011, DCI organised together with the African Child Policy Forum (ACPF) the Kampala Conference on Child Justice in Africa, where the Guidelines on Action for Children in the Justice System in Africa were presented. The Guidelines have since been adopted by the ACERWC and have become a crucial tool to implement child-friendly justice systems across the continent. At country level, DCI African national sections run socio-legal defence centres that provide children with a range of socio-legal services and have led the drafting process of various national legislations aimed at increasing the protection of children in contact with the law. In West Africa, DCI works closely with the Mano River Union (Côte d’Ivoire, Guinea, Liberia, Sierra Leone) to develop a sub-regional child protection policy, particularly aimed at children on the move at risk of abuse and exploitation. Moreover, in Ghana, Liberia and Sierra Leone currently implements Girls Advocacy Alliance programme, a multi-partner, five-year international programme funded by the Dutch Ministry of Foreign Affairs aimed at ending gender-based violence and ensuring the economic empowerment of girls and young women. This programme builds upon the experience of the Girl Power Programme, ran from 2011 to 2015, which has successfully implicated girls, local community actors, government agencies and other key stakeholders in promoting the rights of girls and young women. Over the years, DCI has proved its effectiveness in tackling key child rights concerns and influence in bringing about necessary change at all levels. DCI is thrilled by the obtention of the ACERWC’s Observer Status, which is not only a recognition of its worth but a stepping stone to the continuous efforts for the promotion and improvement of the human rights of children in Africa.